Long live the Queen! Impressions of the coronation //Christian East. 1953. Vol. II. N.5-6. P.125-128. ...and for the union of all let us pray to the Lord//Parish Herald. 1953. N.2. P.1-4. Asceticism (somatopsychic techniques). L.,1957. 31 p. (The Guild of Pastoral psychology, lecture 95). Visit to Russia //Sobornost. 1961. N.4. P.180-186. [About the contribution of Orthodoxy] In: The dialogue of East and West in Christendom. Lectures delivered at a Conference arranged by the Fellowship of St Alban and St Sergius in Oxford, March 10th, 1963. L.: Faith Press, 1963. P.16-20. Interview on Orthodox views of Rome and the World/Granted to Gabriel Matzneff, of the Paris journal "Combat"//One Church. 1963. N.5. P.236-238. Vatican II and the Eastern Churches. A short comment //Eastern Churches Review. 1966. N.1. P.19-21. [Foreword] //Hackel S. One of great price. The life of Mother Maria Skobtsova, Martyr of Ravensbruck. L.,1965. Living prayer. L., Libra books. Darton, Longman and Todd, 1965. VII,125 p.
Ecumenism: A Russian statement. Speech delivered at a Roman Catholic Ecumenical Meeting at Hammersmith, England, 1966 //Diakonia (N.Y.), 1967. N.2. P.198-199. Church. 1970. N.4. P. 172-175. Body and matter in spiritual life //Sacrament and Image: Essays in the Christian understanding of man /Ed. A.M. Allchin. L.: FAS,1967. P.33-41; 2d ed. 1987. P.36-46. Jesus Christ the same yesterday, today and forever //Jesus Christ in a changing word: 7th General Assembly of Syndesmos, Rattvik 1968. Beirut. P.34-43. [Contribution to:] //We believe in God /Ed. Rupert E. Davis. L.: G. Allen and Unwin, 1968. P.25-33. School for prayer: Five talks given in Exeter College Chapel, Oxford, 1969. 29 p.
Some thoughts... ("The Gospel is read...") //One Church. 1969. N.6. P.259-260. On facing suffering : Address given in the University church of St Mary the Virgin on February 1st 1969. 8 p.
Worship in a secular society //Studia liturgica. 1970. vol. VII. N. 2-3. P.120-130; Worship and secularization /Ed. Wiebe Vos. Bussum, Holland, 1970. The children of God and their liberty in the Church //Dialogue oecumenique. 1970. N. 21. P.417-424. School for prayer. L.: Libra book. Darton, Longman & Todd, 1970. 75 p.
Meditation on a theme. A spiritual journey. L. and Oxford: Mowbrays, 1971. 125 p.
God and man. L.: Darton, Longman & Todd, 1971. 127 p.
Christian life //Journal of Moscow Patriarchate. 1971. N.1. P.72-75; 1972. N. 3. P.71-80; N.4.P.69-72; N.5. P.78-80; 1973. N.1. P.71-72; N.3. P.73-77; N.4.P.77; N.5. P.76-77. Living consciously; Meditation; Inner quiet //Personal philosophie: A series from Woman's Hour. L.: BBC,1971. P.8-10. Experience, doubt and faith //Lumen vitae. 1971. N.2. P.194-214. [Extracts from a discussion in the WCC Central Committee] //The Ecumenical Review. 1972. Vol. XXIV. N.4. P.465-470. Interview given to the Rev. Brian Rice //Church Times. 1972, August 4th. P.9. My monastic life //Cistercian studies. 1973. N.3. P. 187-197. Courage to pray. L.: Darton, Longman & Todd, 1974. [Transl. from the French]. Interview with Metropolitan Anthony of Sourozh by Emilio Castro //International Review of Mission. 1974. N.249. P.87-95. [Foreword to:] Feasts of the Orthodox Church. Oxford: SLG Press, 1974. Part 1; Ed. Carmelite monastery, Norfolk. Part 3. The Conquest of Death //Christian. 1975. Vol. 2. N.4. P.347-348. [Foreword to:] The Wisdom of the Desert Fathers. Apophtegmata Patrum from the anonymous series. Oxford. SLG Press, 1975. [Foreword to:] The Sayings of the Desert Fathers. The Alphabetic Collection. Oxford: Mowbrays, 1975. The care of the individual //The British Cancer Council. Two meetings. People and cancer; The problem of relevance in cancer research /Ed. Dr G. Bennette. L. [197?] P.54-60. The prayer of intercession //Christian. 1976. Vol. 3. N.4. P.373-382; Sourozh. 1980. N.1. P.22-33. Sermon for WCC Central Committee. Berlin (West),1974 //The Orthodox Church in the Ecumenical movement. Documents and statements 1902-1975. Geneva: WCC, 1978. P.338-341. The suffering and death of children //Eastern Churches Review. 1976. Vol. VIII. N.2.P.107-112; ECNL 1979. N. 8. P.18-23; Sourozh. 1984. N.18. P.9-16. Baptism. 2d Orthodox Conference at Effingham 28-31 May 1976. P.1-7. The Church in which we believe and the Church in which we live. Papers delivered at the diocesan conference Effingham 1978 with additional material on the Church taken from addresses given elsewhere...: Introduction. P.3-4; The Church. P.5-16; Authority and Charity in the Church. P.17-29; Fulfilling our Christian vocation: What can we learn from the services? P.25-30. The Feasts of the Christian Year. Four talks ... L.: Ikon books, 1979. 11 p.
On death //Sobornost. 1979. Vol. 1. N.2. P.8-18. [Foreword.] When a man starts on the way //Father John. Christ is in our midst. Letters from a Russian monk. L.: Longman, Darton & Todd,1980. "What must I do to be saved?" //Sourozh. 1981. N.6. P.1-3. [Introduction to:] The way of a pilgrim. SPCK,1982. 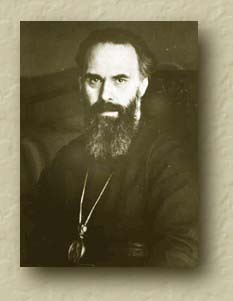 Recollections of archimandrite Afanacii (Nechaev) //Sourozh. 1982. N.9. P.1-12. Address on receiving an Honorary Doctorate of Divinity //Sourozh. 1983. N. 12. P.1-7. Christ, true and perfect Man //Sourozh. 1983. N.14. P.1-13. The Mother of God //Sourozh. 1985. N.21. P.1-6. Death and bereavement : Four talks. L.ROC,1984; 1986. 40 p.
Primacy and Primacies in the Church //Sourozh. 1986. N.25. P.6-15. Encounter //Sourozh. 1986. N.23. P.5-6; 22-31. The essence of prayer: Living prayer; School for prayer; God and man; Courage to pray. L.: Darton, Longman & Todd, 1986; 1989. XXII,453 p.
Easter sermon  //Sourozh. 1986. N.24. P.1-2. The Church of the Councils: The "onslaught of the intellect" and the potential of doubt //Sobornost. 1987. Vol. 9. N.2. P.6-13. Creative prayer: Daily readings with metropolitan Anthony of Sourozh /Introd. and select. by Hugh Wybrew. L.: Darton, Longman & Todd, 1987. 61 p.
An introduction to Lent //Sourozh. 1987. N.27. P.3-12. Sermon on the Millenium of the Baptism of Rus //Sourozh. 1988. N.33. P.1-3. The Church as a Eucharistic Community //The report of the 12th General Assembly of Syndesmos. The Church as a Eucharistic Community. Joensuu: Syndesmos, 1988. P.37-45. Two Lenten Retreat talks //Sourozh. 1989. N. 35. P.1-12. and separately: Conciliar Press, 1989. 19 p.
The Holy Trinity //The Orthodox Church: An introduction. L.: ROC, 1990. Part 1. P.28-40; The Church //Part 2. P.1-14. Bishop Anthony of Sourozh replies to Syndesmos //Syndesmos News. 1991. Vol. IX. N.1. P.8-10. Reflexions on the expression "The undivided Church} //Sourozh. 1991. N. 45. P.7-16. On the Church: A catechetical exercise // Sourozh. 1992. N. 48. P.6-16. The hierarchical structures of the Church //Sourozh. 1993. N.53. P.1-8. Where has the Church gone wrong? //A Royal Priesthood : the role of the Laity in the Church... Publ. RODS, 1995. P.58-72. Introduction; Meeting a Non-Orthodox Society //Our Orthodox presence in Great Britain. RODS,1996. P.1-4,39-48. Resurrection Victory //Sourozh. 1997. N.67. P.1-4. The whole human person: body, spirit and soul //To be what we are. The Orthodox understanding of the Person. – RODS,1997. P.5-14. Sacred Materialism in Christianity// The Experience of the Incarnation: The Body as the Temple of the Holy Spirit. – St Stephen’s Press, 1998. – P. 10-19. Where have we Orthodox failed our calling? ; Seminar on the Jesus Prayer // Where have we Orthodox failed our calling? : Diocesan conference, 22-25 May 1998.– RODS, 1999. P. 3-14; 48-59. ‘The Comforter’: our Support and Strength for Mission // The Gift of the Holy Spirit: The Church as a Continual Pentecost. – St Stephen’s Press, 2000. - P. 11-22.